Michigan households are recycling far less than the national average – only 15 percent of our municipal solid waste is recycled compared to 35 percent nationwide. Some states, including Minnesota, Florida, Washington, Oregon, California and Massachusetts, have proven that we can do so much better – their recycling rates are at 50 percent and higher, according to the Michigan Department of Environmental Quality. At the Detroit Zoo, we are making strides to not only reduce the amount of waste generated by guests and staff, but to recycle – and compost – what we do create. 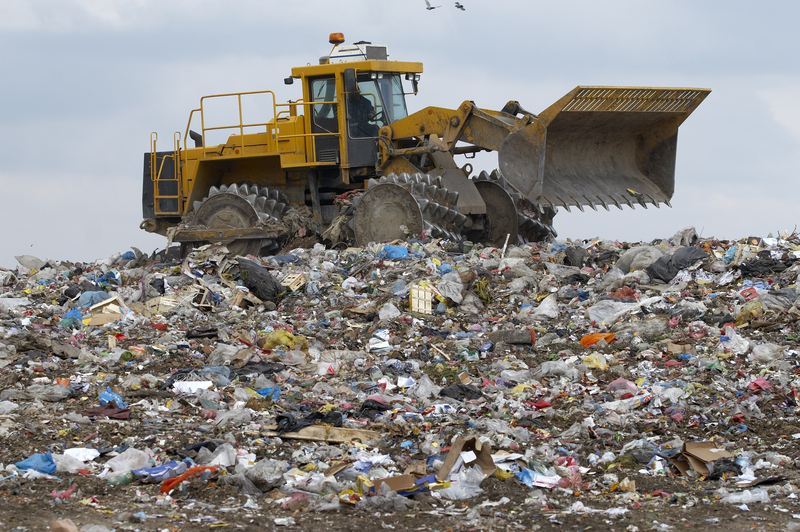 When we recycle, we are not only decreasing the amount of material we send to the landfill, but we are conserving natural resources and reducing pollution. We can all take steps in our everyday lives to reduce the amount of waste we produce, reuse and recycle items when we can, and purchase items we know can be recycled. When we’re not mindful of this, and a recyclable item ends up in the landfill instead of a recycling center, the waste can live on indefinitely. Oftentimes, these items wind up in creeks, lakes and oceans, endangering wildlife that eat the plastic or become entangled. 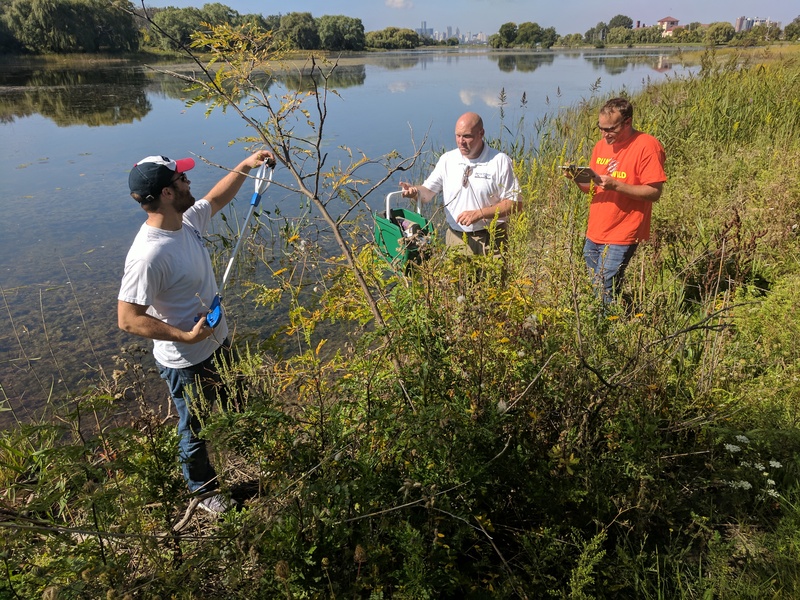 The Detroit Zoological Society’s (DZS’s) Green Team recently volunteered to clean up the shoreline of Lake Muskoday on Belle Isle, and collected more than 30 pounds of trash in the process. Plastic bags, plastic film, Styrofoam and glass bottles were among the items we collected on Belle Isle. 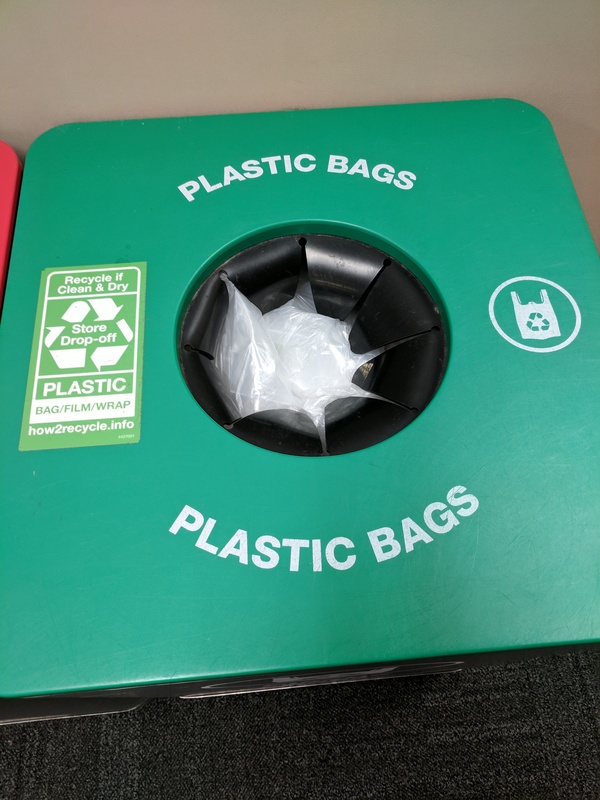 While many municipal recycling facilities are unable to accept all kinds of plastic, large department stores such as Target and Walmart provide free recycling receptacles at the front of their stores for these items. They accept grocery bags, clean bread bags, Ziploc bags, plastic film and bubble wrap. Request only paper packaging when ordering online. By refusing Styrofoam, bubble wrap and unnecessary plastic packaging, you can help drastically reduce waste.